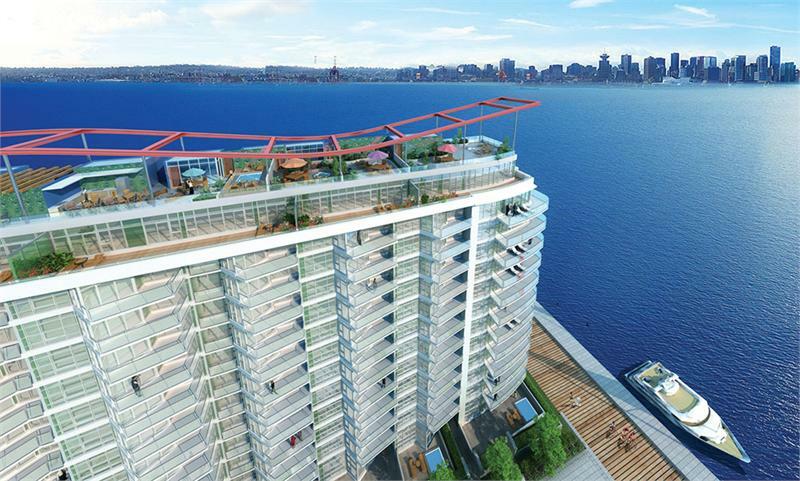 The Pinnacle International’s Trophy at the Pier is one of the newest developments coming to North Vancouver. Situated right on the water new residents to this development will enjoy spectacular views on the Vancouver Skyline, Stanley Park, Lion’s Gate Bridge and the North Shore Mountains. Trophy at the Pier is in pre-construction and set to complete in 2015. This will add another 113 homes to Lower Lonsdale priced from $509,900. The residences themselves will feature electric fireplaces with granite mantles; designer carpet with a hardwood or porcelain tile option; quartz, granite and marble counters; luxurious soaker tubs; walk-in showers; and high-end appliances. Trophy residents will get to enjoy the views from the rooftop deck and private amenity space with everything from a hot tub to fire pit. As an owner you will also have access to the 5 star amenities at the Pinnacle Hotel at the Pier including, lap pool, Jacuzzi, steam room, sauna, yoga studio and fitness center. For more information on this or any other North Vancouver development contact us today!